Wuthering Heights is a story of love, wealth, revenge, death and regret. Heathcliff, an orphan raised with favor by Mr. Earnshaw, father of Hindley and Catherine. Hindley's hatred festers for Heathcliff as Catherine's love grows. When Mr. Earnshaw dies and Hindley inherits Wuthering Heights he brutalizes Heathcliff, forcing him to work as a hired hand. Soon Heathcliff leaves Wuthering Heights. Catherine becomes friends with the neighboring Linton family and Mrs. Linton begins to teach her to be a 'proper lady'. Catherine becomes attracted to and eventually marries Edgar Linton. After three years Heathcliff returns a wealthy gentleman and marries Isabella Linton only to become cruel and abusive to her. His objective is to enact revenge on Hindley and Edgar Linton and soon gains ownership of Wuthering Heights and then the Linton estate, Thrushcross Grange. 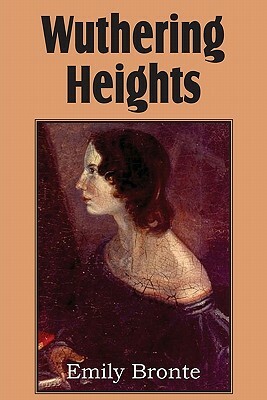 Emily Bront 's Wuthering Heights is considered a classic of English literature. Brought to screen and stage in numerous form Bront 's characters live through past and current culture.